Next week, from Tuesday 4th until Thursday 6th December 2018, Vienna will host one of the biggest global ICT conference organised by the European Commission. 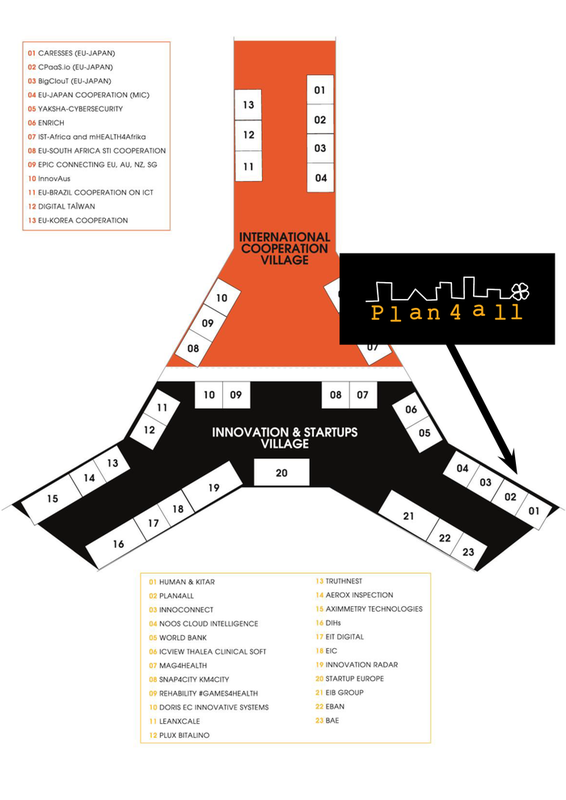 Plan4all was awarded a booth in the Innovation and Startups Village. Plan4all is making final touches on the presentation materials that will be shown to the ICT 2018 attendees. The key topic of the Plan4all booth will be the Transport of the Future. Transport management and development are key areas influencing environmental, social and economic indicators. The Plan4all innovation enables to model and forecast traffic volumes in any location and at any time. This provides an opportunity for transport planners, urban designers, citizens and policy makers to view the forecasted situation on the road reflecting planned developments, road closures and general traffic problems such as rush hours. The Plan4all innovation combines spatial and demographic data including real-time traffic sensors. By using specific algorithms, the tool visualises interactive images of traffic volumes. The innovation was designed within the OpenTransportNet project, was commercially exploited in modelling the traffic volumes in Pilsen, Czech Republic, and is currently utilised by the Plan4all association in the PoliVisu project. This is a ready for market innovation which has a huge exploitation potential in many areas. The Plan4all booth will be located in Level 1 of the Austria Center Vienna (1 Bruno-Kreisky-Platz,1220 Vienna, Austria). The detailed floor plan is shown below.